As an authorized training site with the American Heart Association we offer affordable, easy, and convenient ACLS, BLS, CPR, PALS, PEARS, AED, and First Aid classes with same day certification. All of our expert instructors are certified American Heart Association instructors with decades of experience. Classes are offered in the classroom, on-site or off-site, and AHA now offers online blended courses. We offer on-site training where the convenience of having one of our instructors come to your facility to train your group or you can attend a course in our classroom at our facility. HSC is also an approved training center for the American Health and Safety Institute (ASHI) offering courses in Bloodborne Pathogens (OSHA), Emergency Oxygen, Emergency Medical Response, Advanced First Aid, and Wilderness First Aid. Our CPR classes cover adult, child, and infant CPR, choking, and the use of an automatic external defibrillator (AED). It is a 2 year certification with the American Heart Association. 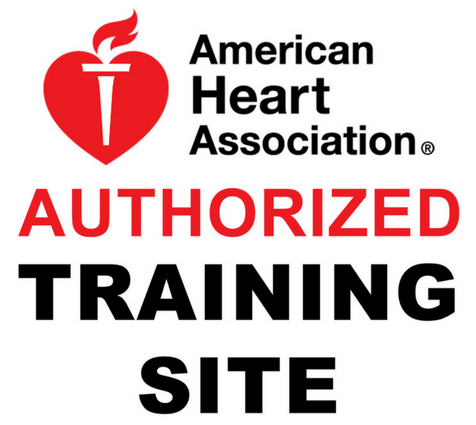 The American Heart Association also offers blended classes which combines the flexibility of online e-learning (part one) and an instructor for the skills practice and testing (part two and three). HeartCode® is a web-based, instructional class that uses eSimulation technology to allow students to assess and treat patients in virtual healthcare settings. Through eSimulation students apply their knowledge to patient cases and see the results of their decision in real-time. Students gain experience about basic and advanced life support techniques in environments that imitate real-life, helping them prepare successful treatment plans in actual situations.